Saturday morning bright (well, some of us were…) and early it was off to Tauranga for our first bout of the year in three super fast minivans. With Pyscho Sis and Skatanic Mechanic leading the way in our much needed luggage truck it was a long four and a half hour haul south to our destination with several pit stops along the way. 8th Deadly Sin especially made an impression at McDonald’s at Drury BP Motorway Service Centre and of course who could forget the Mad Cow van at Matamata. Once settled in our motel (we can highly recommend Fountain Court Motel, just not when 50 derby lovers are staying there all at once, we might disturb your sleep a little) it was off to Queen Elizabeth II Stadium to catch the curtain opener of Mt Militia’s Violent Fems vs Wanganui’s River City Rollers. 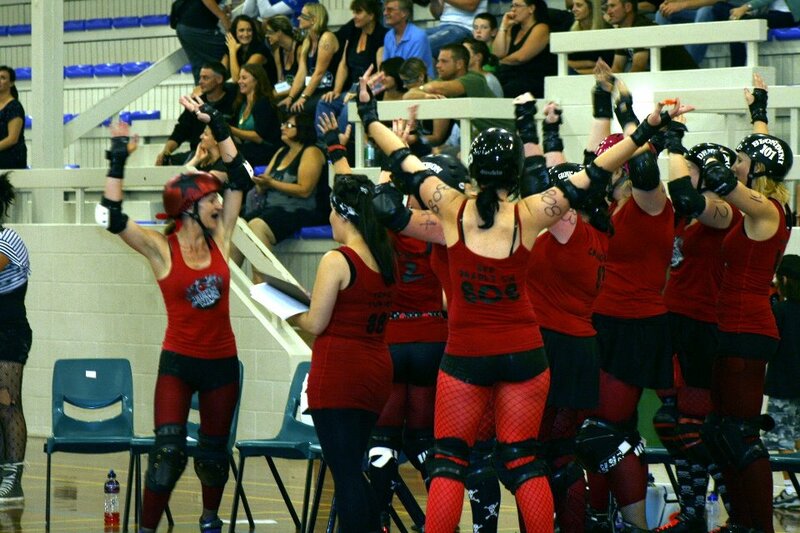 Then it was time for the Hells Wives to take the floor and take on Dangerous Curves. They had beaten Hells Wives 63-178 last year, but this year? It was gonna be different. There were impenetrable walls, there were tactics and skills and everything that our Head Coach Axl Slash-r had been drumming into us at practice was put IN to practice. Our jammers got through again and again and the more our Hells Wives Barmy Army shouted and chanted and yelled the more the score started to ramp up and up until the final score: an amazing, first ever, incredibly well fought win to Hells Wives, 140-81!!! 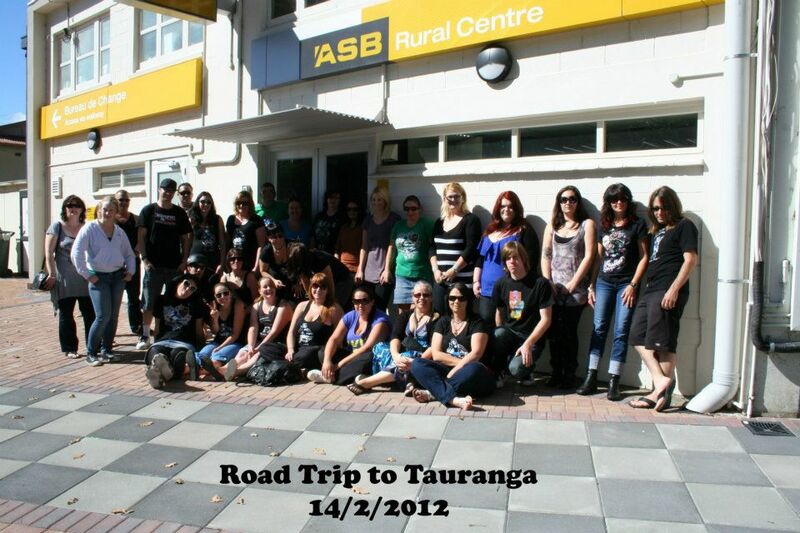 Celebrations went well into the night, with some karaoke, leg wrestling and much general derby mutual appreciation between teams, then Sunday, after lots of coffee and bearing up under hangovers, it was time to hit the road again for the journey back to Whangarei. 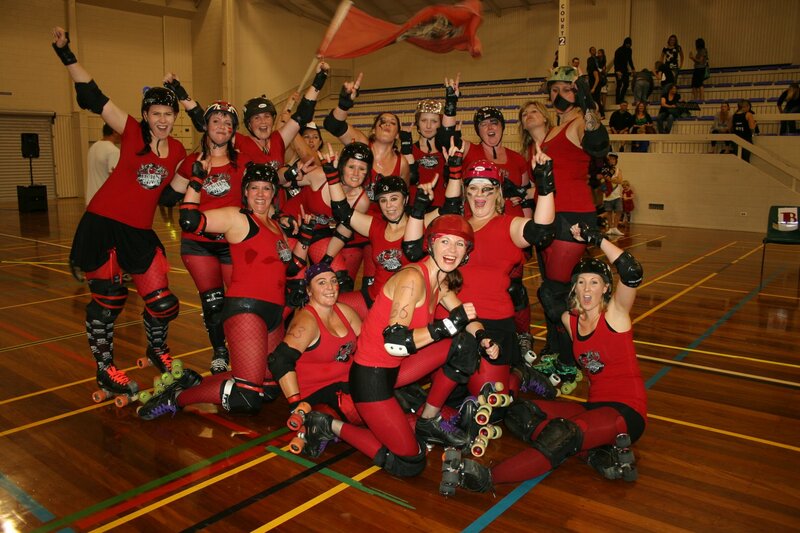 A huge thanks you to our hosts MMDC, refs, NSO’s and support staff and of course our completely awesome Hells Wives Barmy Army who were a lot bigger and just as mighty as last time! Next up? It’s the first home game of the season; an exhibition bout at ASB Stadium in Kensington on the 19th of May! See ya there! This entry was posted on April 17, 2012 by nnderby. It was filed under EVENTS! and was tagged with Dangerous Curves, Hells Wives, Mount Militia Derby Crew, Mt Milita Derby Crew, Northland Nightmares, Northland Nightmares Roller Girls, Northland Nightmares Roller Girlz, Northland Roller Derby, Roller Derby, rollerderby.